2015 marked the sixth year that SCoR has hosted a seminar at the annual meeting of SSCA. This year, the co-sponsors for our double panel were the Rhetoric and Public Address Division and the Southern Argumentation and Forensics Division. SCoR seminars at SSCA often have a local connection, and this year was no exception. This year, the SCoR panel focused on debates surrounding immigration and the uses of definition and the rhetorical construction of identity in those debates as exemplified in the speeches and statement of Florida Senator Marco Rubio. Policy arguments tend to turn as much on how terms in a dispute are defined as a means of influencing perception as on any presentation of facts. Many of the euphemisms and ideographs used to describe policy, whether positively or negatively, are really attempts to redefine the terms of a dispute as a way of framing perception and discussion. 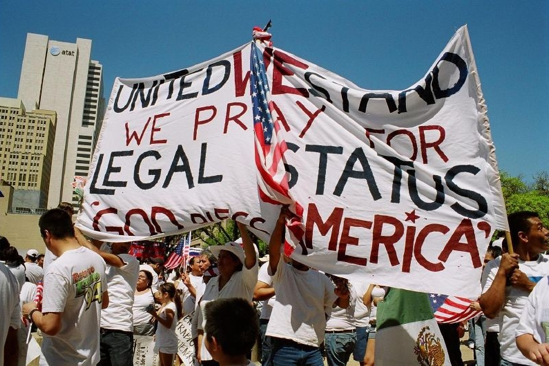 Immigration policy, a fraught site of contention between rival factions, is particularly susceptible to shifting definitions of citizenship, residency, identity. As the political parties attempt to grapple with the question of immigration policy, Marco Rubio, the junior Senator from Florida, emerged as a major spokesman, first for the proposed bi-partisan immigration reform bill and then as one of its major detractors. 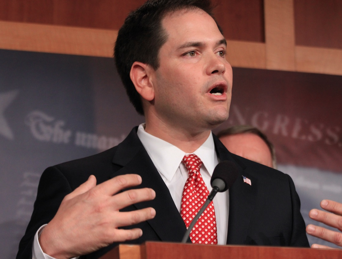 Recently, as he contemplates a run for the presidency, Rubio has emerged again as a supporter of immigration reform. What role does definition play in Rubio’s shifting positions on immigration and, indeed, on public understanding of the larger immigration issue? Does an examination of Rubio’s shifting positions on this policy issue shed any light on our understandings of how definition works in public argument? For each segment of the double panel, a group of panelists gave very brief critical précis, then the floor was opened to discussion.